When Buddy and Max heard that their were elves at McDonalds, they knew a midnight run was needed! 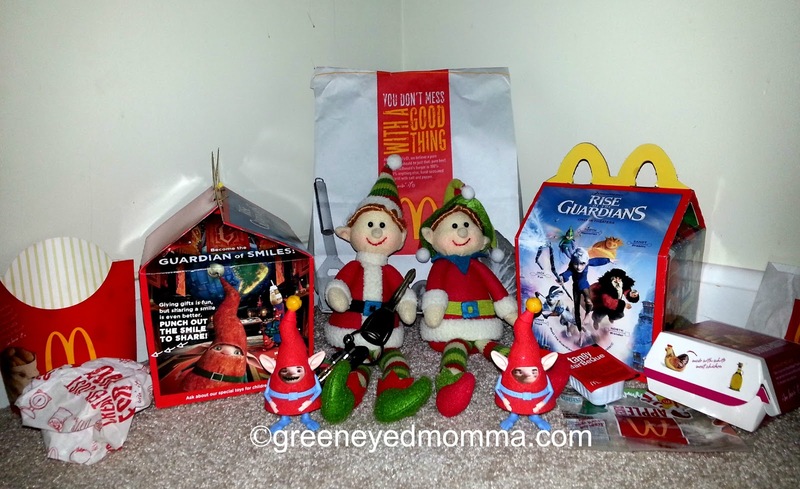 Rise of the Guardians Happy Meals, are you kidding? Beyond awesome if you are an Elf, love the North Pole, a huge fan of Santa, and love chicken nuggets and cheese burgers! Have you seen Rise of the Guardians in 3D? My boys love it, and cannot wait for it to be released on DVD! Great family film, and I was so excited that McDonalds had the North Pole elves as the toy! The kids thought they were the funniest part of the movie.